Bamiyan, Afghanistan, is hardly the first place that comes to mind when one thinks of Jewish life in the Middle Ages. If the world has heard of this town in the central Hazar-speaking region at all it is likely because of the Bamiyan Buddhas, which were dynamited by the Taliban in March 2001, on the grounds that they were un-Islamic. At this time, many were surprised to learn that the territory of Afghanistan had once been a Buddhist kingdom during the first and second centuries CE. Now we must be surprised again, to learn that, nine centuries later, Bamiyan was also a home to a thriving Jewish community. The existence of the manuscripts came to light several years ago when a cache of over 1000 manuscripts and fragments were discovered, reportedly in a cave system in Darra-i-Suf, a district of the Samangan Province, which is just north of Bamiyan Province, and situated in the heart of Taliban country. Most of the manuscripts date to the 12thand 13thcenturies CE and range greatly in their subject matter. The exact circumstances under which the manuscripts were discovered and distributed to antiquities dealers is uncertain. Some remain in private hands, but a significant number have now been acquired by the National Library of Israel. A portion of this collection consists of an 11thcentury private archive belonging to a Jewish family from the town of Bamiyan. These manuscripts, 29 of which were purchased by the National Library in 2013, and 250 more in 2016, were reported at the time as resembling the finds of the Cairo Genizah, and the light they shed on Jewish life during the first half of the 11thcentury in this once diverse and thriving region, and now we are beginning to know why. The documents are written in six languages, Early Judaeo-Persian, Early New Persian, Judaeo-Arabic, Arabic, Hebrew and Aramaic, and range in genre from Islamic legal instruments to personal correspondence, civil contracts to biblical commentary, debt lists to poetry. The most celebrated manuscript so far is a page of 10thcentury exegete Saadia Gaon’s commentary on Isaiah 34, otherwise absent from the rebbe’s corpus, and yet this is hardly the most revelatory document to emerge from the cave in Afghanistan. Although it will take years, perhaps decades, before all the text is analyzed, important progress has already been made. Ofir Haim, a graduate student at the Hebrew University of Jerusalem’s Middle Eastern History Department, has presented, in his master’s thesis, a translation and reading of six letters in Early Judaeo-Persian, eight legal documents in Early New Persian, and four Early New Persian letters, all written by or in relation to the family of Abu Naṣr Yehuda b. Daniyal. This family’s patriarch, Abu Naṣr Yehuda b. Daniel, and his son Abu al-Ḥasan Siman Ṭub, both appear to have been prominent figures in the local Jewish community, which included Jews not only in Bamiyan but also Ghazni, a town in a neighboring district. Both were landowners and goods traders. A third man, Ibrahim b. Daniel, most likely Abu Nasr’s brother, is also mentioned in the documents, but infrequently. Where were this family’s origins? 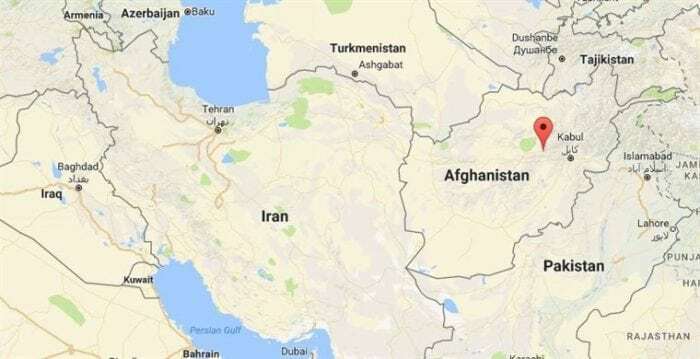 What were they doing in this far eastern corner of the Persian world? The existence of Jewish communities throughout the Persian world is well known. Communities in the cities of Khorasan and Transoxania, such as Balkh, Firuzkuh, Herat, Merv, and the well-known centers of Jewish life, Bukhara and Samarqand. These manuscripts join several other archaeological and textual finds in elucidating the nature of these communities: the rock inscriptions of Tang-i Azao (dated 752-3 CE) in central Afghanistan, apparently inscribed by Jewish merchants from the Kabul region; a group of 11th– 13thcentury CE Jewish tombstones in Ghur, also central Afghanistan; a Torah-pointer, also reportedly from Ghur; and two examples of 8thcentury Early Judaeo-Persian commercial correspondence from the Dandan-Uiliq, an oasis site in Xinjiang. But manuscripts of the Afghan ‘Genizah’ are the first evidence of a Jewish community at Bamiyan. This is significant because helps chart the growth of Jewish communities along known arteries of the Silk Route (of which there were, really, several). Any argument for why they were there rests on the strategic location of Bamiyan and Ghazni along the routes for trade in silk, precious stones, wool, and Turkic slaves, but Bamiyan seems never to have been a fortified town, and so it has never been thought of as a wealthy trade hub. Nevertheless, the Bamiyan valley is positioned between Balkh and the Panjshir Valley, and thus the Indus Valley to the east. Owing to a scarcity of written sources, very little is known about the lives and origins of the Jews of Eastern Iran. Were they Radhanites, or otherwise Jewish merchants from Babylon who saw an opportunity on the borderlands of empire? Were they converts to Judaism who saw affiliation with the Jewish community as tantamount to joining a trade guild? There are very few clues as to the origins of the Abu Naṣr Yehuda b. Daniel family, but the most important come from the five languages represented in the corpus. The cross-genre presence of Judaeo-Arabic and Arabic and very little Hebrew suggest an origin in the Arab world. So far there are not enough legal formulary or dialectological clues pointing to a specific region, but Iraq seems most likely. Some of the Hebrew-script correspondence uses Babylonian-style niqqud, an orthographic system for distinguishing alternative pronunciations of letters. Moreover, although the Arabic and Judaeo-Arabic texts are few, and the family members clearly use the Persian language to communicate, the use of Hebrew would suggest they are not local converts to Judaism. Haim, during a phone conversation, was reluctant to speculate further on whether, even if the family had migrated from Iraq, it represented a single case of migration or a trend of Arabic-speaking Jews settling on the eastern fringes of the Persian Empire. He did point out that Iraq was suffering great turmoil in the 10thcentury CE, and that many people, including Jews, migrated west—this is documented. But perhaps also east? Why not? Although it would have been more difficult to go east because of the language barrier (migrating to Egypt was easier because of Arabic), it is still a possibility. Medieval Jewish historiography was practically non-existent as a field of study until the translation of documents from the Cairo Genizah. 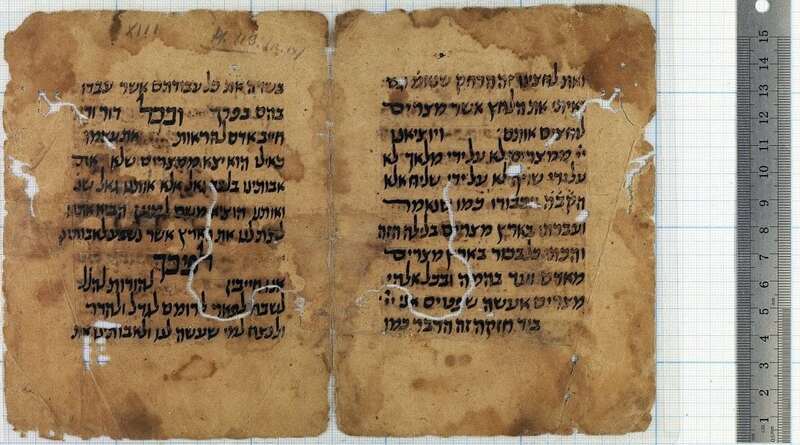 While the Bamiyan trove does not constitute a genizah, per se, given time, it may well prove to be for Eastern Iran what the Cairo Genizah was for the Mediterranean world. The contents of the Afghan ‘genizah’ are undergoing conservation and preservation at the National Library of Israel, and are gradually being scanned and uploaded the library’s website. Scholarly studies of the manuscripts are ongoing.